One of the main functions of a computer is to store digital files. It can be photographs, videos, school assignments, applications, or even confidential documents containing personal information. Unfortunately, a computer or laptop is not perfectly immune to damages and errors. If you really think about it, your laptop is nothing but pieces of hardware connected in the right arrangement and powered by electricity through the battery. System failure is not particularly a rarity, and it can happen to anybody’s computer You can replace a broken computer without breaking the bank, but the precious data stored inside are potentially irreparable; in some cases, losing access to the information can compromise your works and study. A damaged laptop does not always mean you are losing access to the data you store in it. Sometimes it happens because of system failure in which case the laptop cannot read the hard drive or data. There are two methods to overcome the problem. Connecting the hard drive to another computer: you can dismantle the laptop and remove the hard drive. It may take several hours or even more depending on your skill level and complexity of the laptop. Once the hard drive has been removed, connect it to another computer via SATA port connection. It is also possible to use a portable hard drive case so you don’t have to bother with choosing the right cable. The computer should be able to detect new hardware and read your data. Reinstall a fresh operating system: in the event of crashed operating system, you can reinstall a new one without compromising stored data. It is advisable to try to repair the system first before you do a fresh install. After installation is complete, your data should be readable. There is also a possibility that your data is lost not due to damages or system failure, but a simple case of accidental deletion. Even for someone who has been proficient at operating a computer for many years, it is not impossible to get distracted during works and unintentionally delete some important files. The remedy is much easier because the system and hardware are both intact. Your files are not actually inaccessible, but they are just not there. The first thing to do is to look for it in the Recycle Bin or Trash folder. If you are lucky, the files will be there and there should be an option to restore them to the original locations. However, if the accidental deletion failed to send the data to either folder, you need to use third-party application to try to restore deleted files. Some third-party applications are free, but others may not. data recovery software often has limitations compared to its paid counterparts, but it does not mean that the latter is always better. Almost all applications of this kind work in a similar manner; they let you specify file types and original locations/folder for more specific search. You can also make the application search for everything in all folders. One thing that makes the real difference is the user interface and the ability to recover deleted files from the external hard drive. 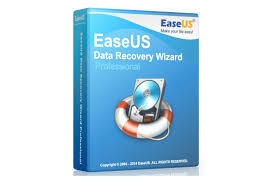 EaseUS Data Recovery Wizard is available as both free and paid versions; of course the paid version offers more features but the free version should restore deleted files caused by accidental deletion with no issues at all.